while Brussel sprouts add volume without being calorific. 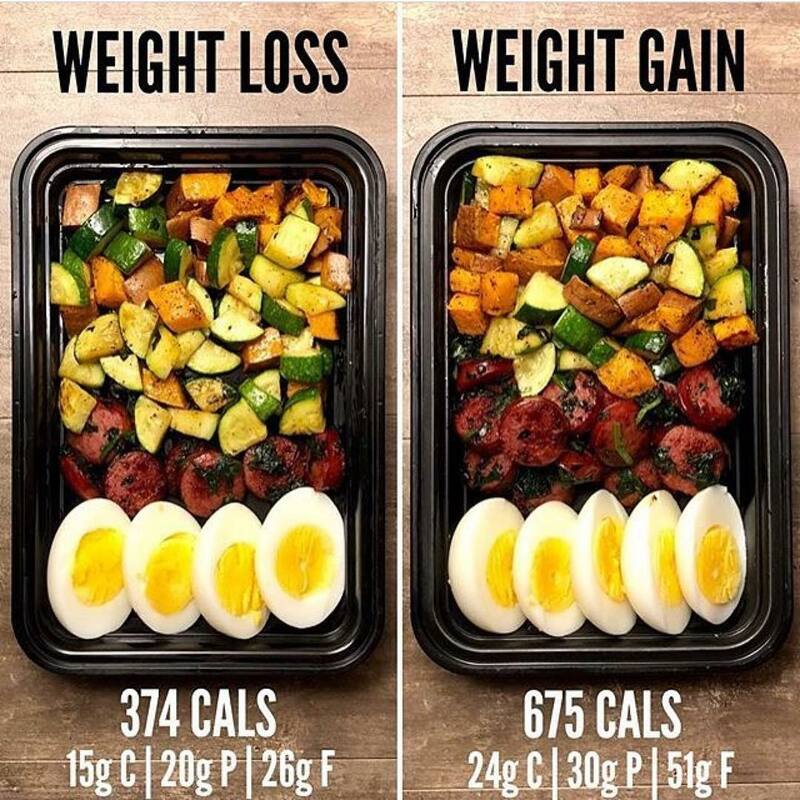 This is the perfect meal prep dish to take to the office the next day and have coworkers glare at you with envy. 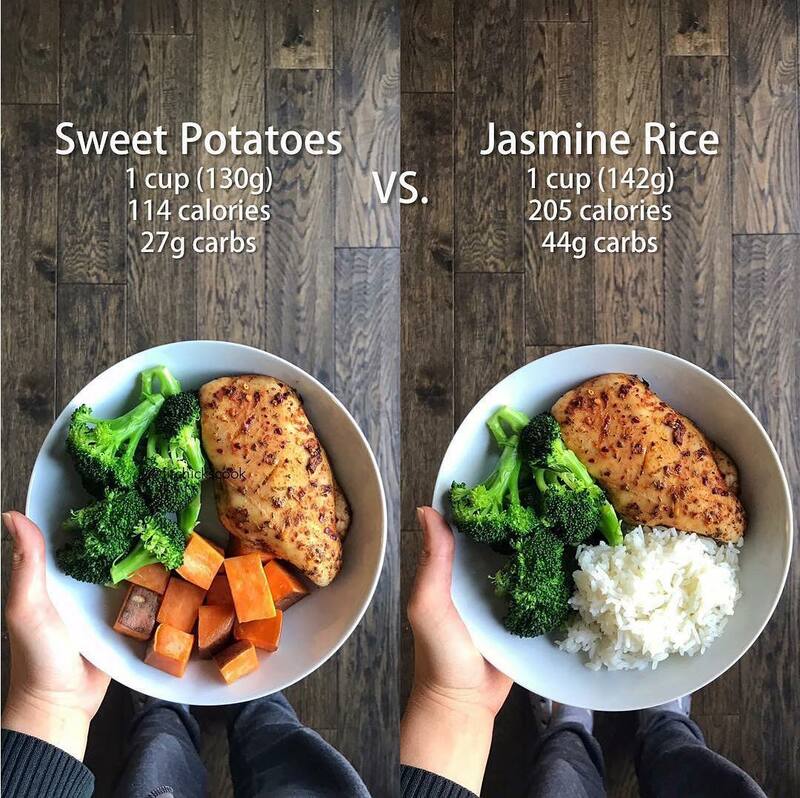 This recipe breaks down stereotypes that white rice is bad for you, but still offers a weight loss version that subs it out for sweet potatoes with a side of juicy chicken breast. The author explains how sweet potatoes are a vitamin powerhouse. 5. Slice it up and between slices, take a sip of tea. Eating slowly as opposed to scarfing down your food is difficult, but helps you feel satiated way faster. Eating mindful slowing down and chewing more will go a long way. 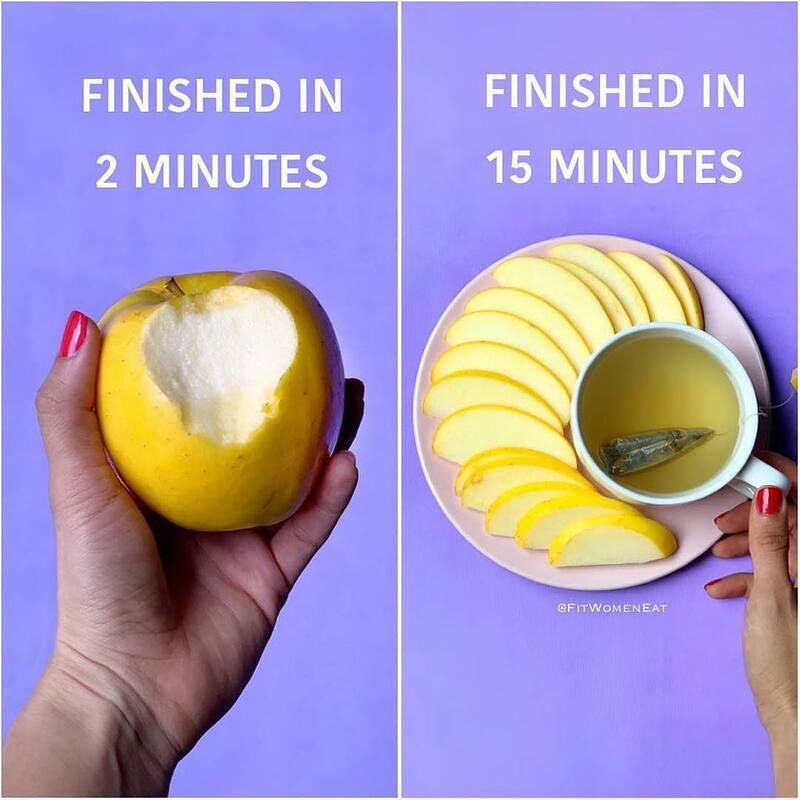 Instead of eating an apple whole, slice it up and between slices, take a sip of tea. 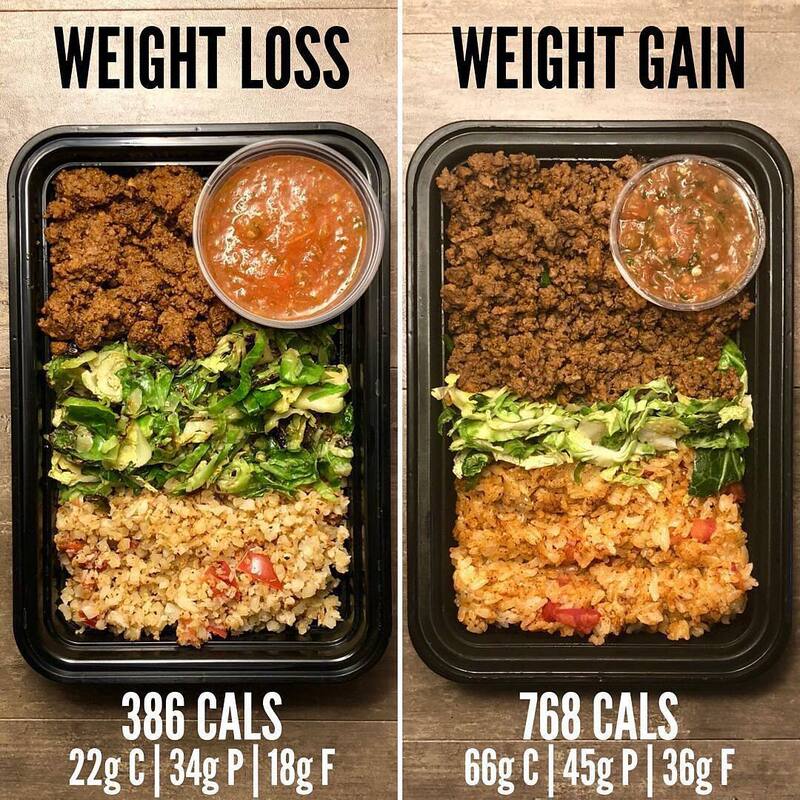 This pot encourages you to understand weight loss a little better instead of just throwing a recipe at you. 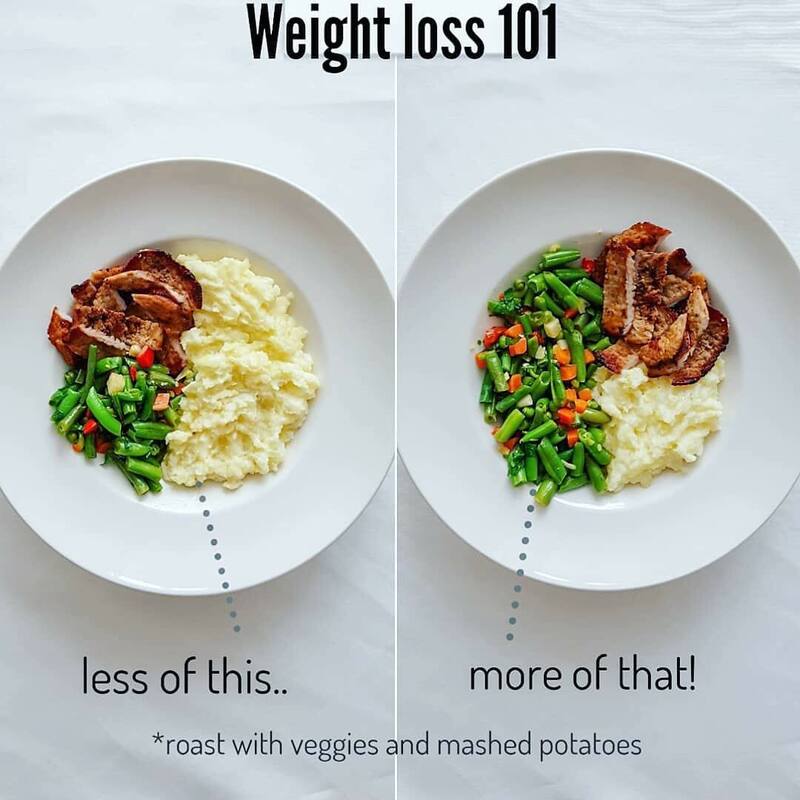 The author explains that carbs must be decreased and veggies must be increased for weight loss to be achieved. 7. Fats, fibers, and promote satiety. 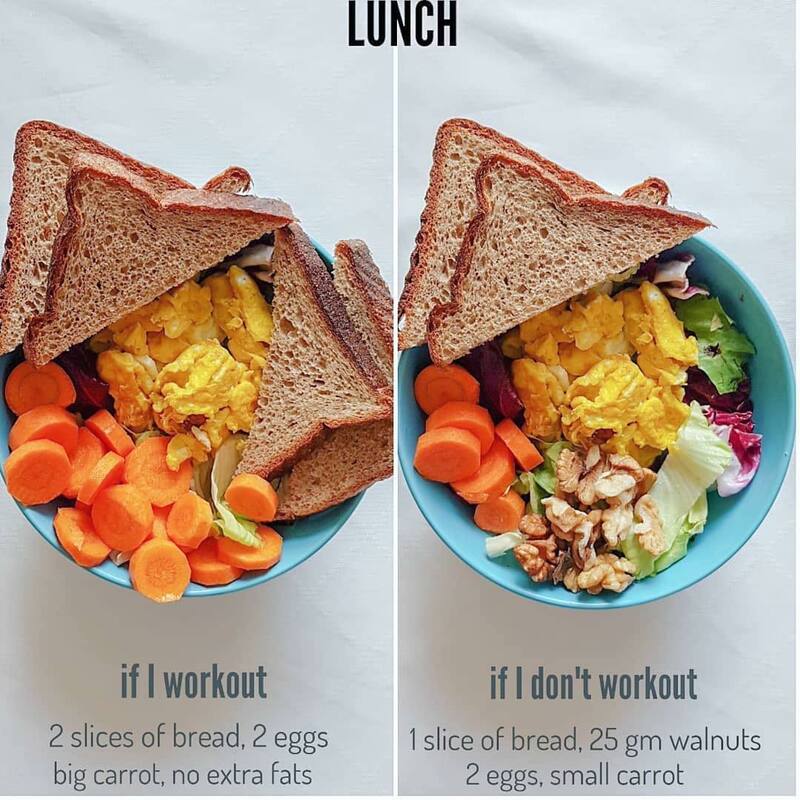 This post gives us some idea of what to eat before a workout, versus the rest of the time. Pre-workout, load up on the carbs and proteins, since fats slow digestion and aren’t the best training buddy. Snacking is one of the hardest things to get a hold on. When you are craving or bored, it’s hard to say no. 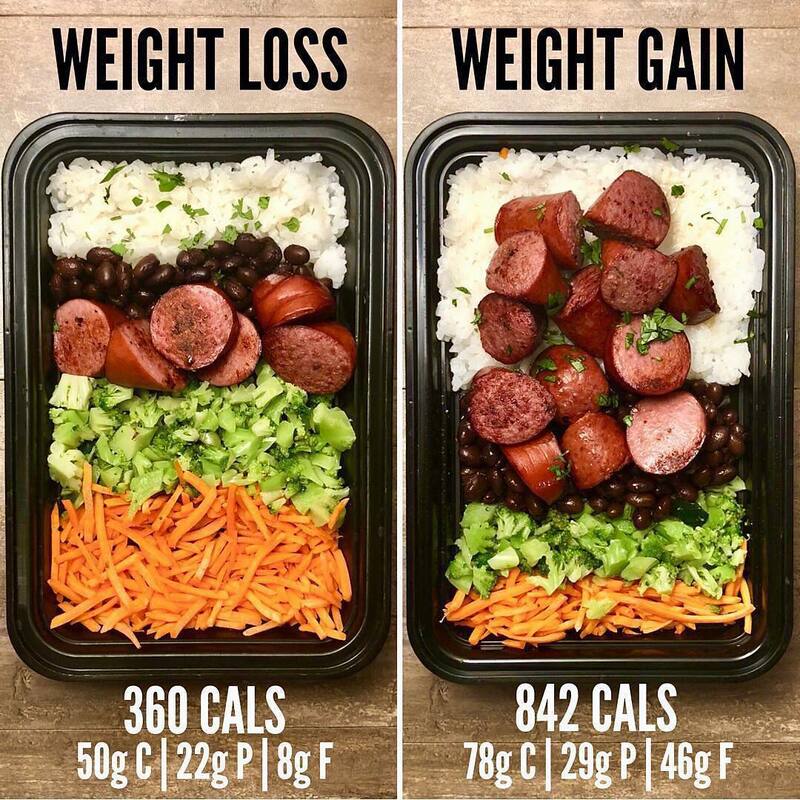 This post shows you how to incorporate volume eating with air popped popcorn, mixed in with some almonds, chocolate bites, and cranberries. 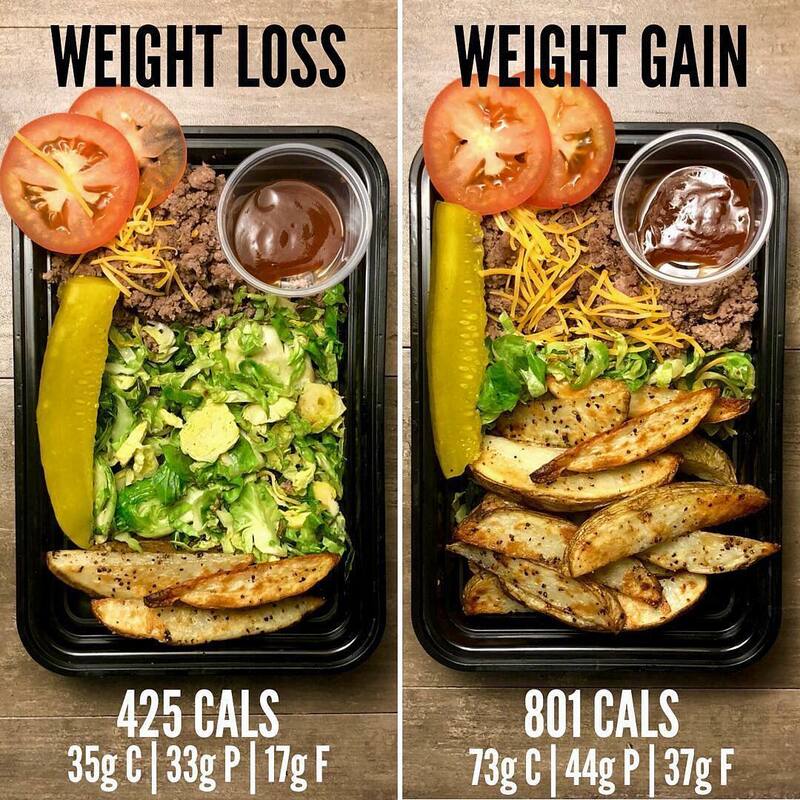 If you fill up on just trail mix, you could be doubling calories. Sometimes, you’re craving a hot dog and no healthy eating hack will replace that casing filled with meaty, street food goodness. 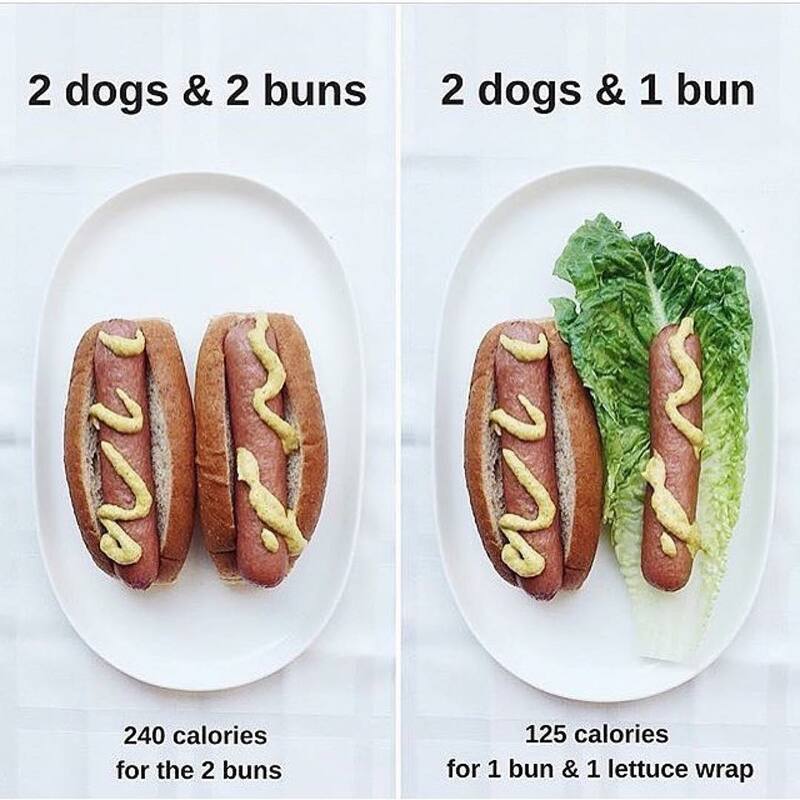 If you eat two hot dogs but only use one bun, swapping out the other for a healthier lettuce wrap. The weight loss meal swaps white rice for zoodles, aka zucchini noodles. But that rice version does look pretty tempting. 11. Sweet potato fries, patties, jalapeños and tomatoes. The health version of this is sweet potato fries, patties, jalapeños and tomatoes. 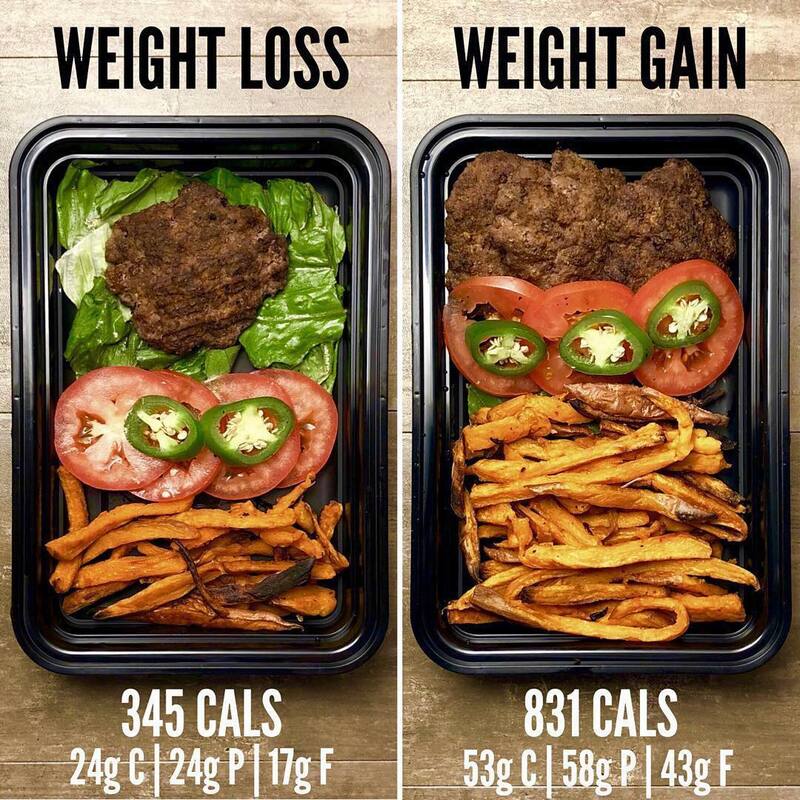 If you’re trying to make gains, double the fries and meat portion. Plus, it doesn’t lose flavor in the microwave. This meal is perfect for breakfast, lunch, or dinner. The reason for had boiled is that they hold better in the fridge than when fried or scrambled. 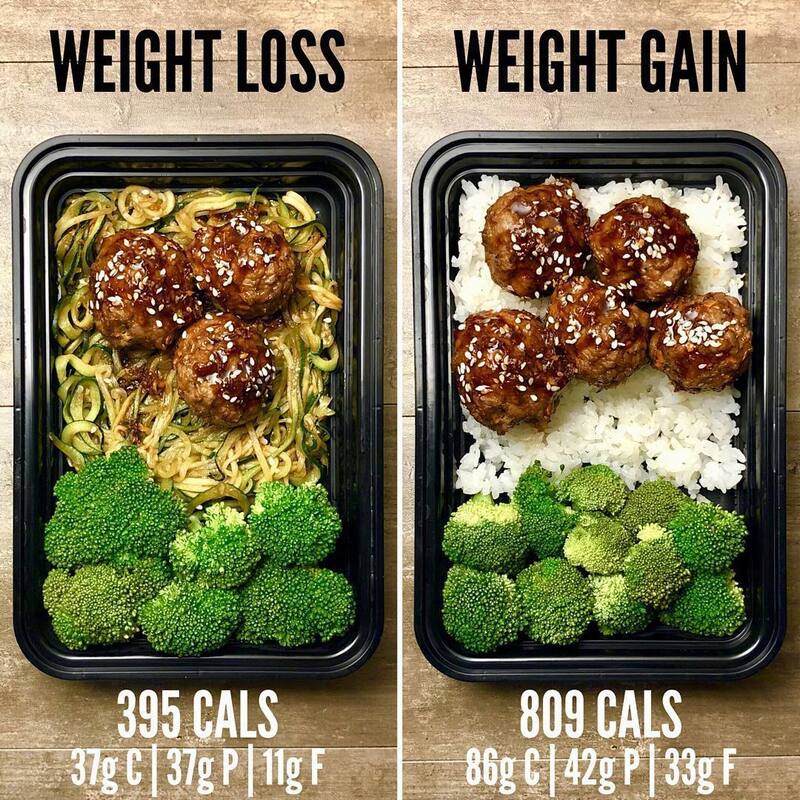 As always, adjust per your weight goals.